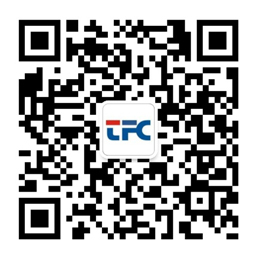 The below rules apply to all users or visitors accessing to the website, Suzhou TFC Optical Co., LTD(TFC) reserves the right to modify these rules at any time. The right to access to the web site is accredited by TFC according to the following terms. If you do not agree with any of the following terms, please stop using this site. For the violation of these rules, TFC shall have the right to take legal and equitable measures of remediation. The materials and information of this web site, include but do not limit to text, images, data, opinions, suggestions, web page or link. TFC tries to provide accurate materials and information on the website, but TFC does not guarantee the accuracy, completeness, adequacy and reliability of these materials. TFC makes a clear statement that it will neither shoulder the responsibility for the errors or omissions of these materials, nor make the pledge for any express or implied material and content, the ownership of guarantee including but not limited, the rights and quality without infringement of third party and none computer viruses. TFC can make modification of the website content at any time in the absence of any inform or notice. Please visit this website regularly for the information of latest version. The products or services beyond TFC on this web site is just for providing relevant information, it doesn’t mean the recognition or recommendations of the product and service. TFC will not make any representations, warranties or recognition about any product, service or information provided on these websites, and the sales of all products and services should be bound by the sales contract and terms of this company. All material or content reprinted on this website are protected by copyright law, and all copyrights are owned by TFC, apart from the content with other quote. Without the written permission of TFC or any other party, no one can connect or transfer any content on this site by copy, distribution, reproducing, broadcast or super link, load the other servers by "image method", store in information retrieval system or use for any other commercial purposes, but apart from non-commercial purposes, personal use, download or print (on the condition of no modification and shall retain the copyright or other ownership in the material). All trademarks and logos used and showed on TFC website are owned by TFC, except for the trademarks, logos, trade names with the clear indication of the other parties. Any content of TFC website should not authorize the use of permit or right to any above trademarks or logos in the form of hint or non-against, without the written consent of TFC and other parties. No one can use the name of TFC, the trademarks and logos of TFC in any form without prior written permission. Due to the internationality or borderless of Internet, the information provided on this website also can be browsed in the whole world, so not all of the products or services mentioned in this website are available in your country or region. Please contact the local sales representative or agent for the product or service in your country or region. This site may include links to third-party websites or web address. It depends on yourself for the access to these links. TFC does not guarantee the accuracy, completeness, sufficiency and reliability of any information, data, images, statement or suggestion provided on these links. TFC provides these links only for convenience, and it doesn't mean TFC’s recognition and recommendations of the information, nor used for publicity or advertising purposes.